We were briefed to brand and design bus livery for existing bus routes in Stockton along the route Fairfield, Hardwick, Norton. Route numbers 52, 58, 59 and 61, which link the town centre to locations along the route, including Billingham. There are 17 brand new buses in total with improved onboard services such as Wifi connecting thousands of passengers to key places across the town. We were briefed that the bus livery design and branding must reflect the ‘connecting the dots’ theme. 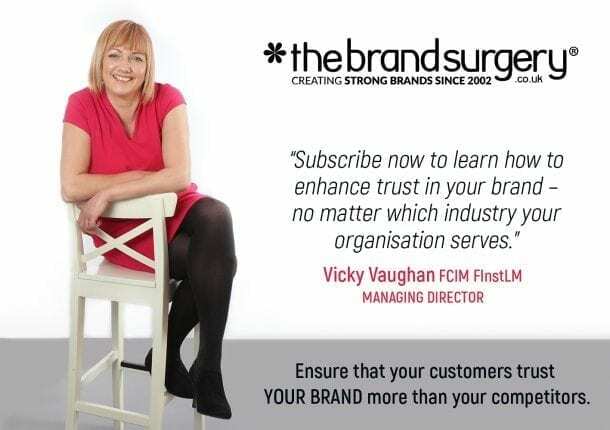 In true Brand Surgery style we completed extensive market research before designing the bus livery to ensure that we got the tone and feel of the corporate identity just right. We then presented our designs to the client who liked the orange/blue concept we presented which matched the Stagecoach corporate identity. 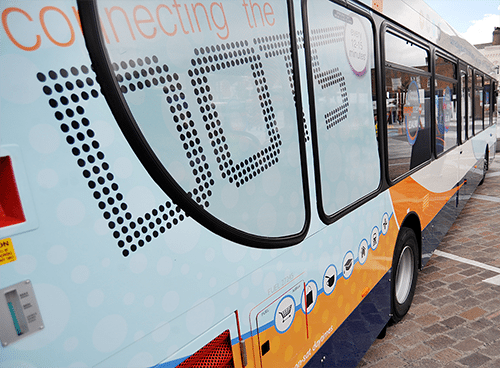 The buses feature a ‘connecting the DOTS’ theme designed to highlight the connections available along the routes, and the flexibility on offer for passengers when travelling around Stockton. We differentiated each design by using the route colour on the bus map to highlight the circles and key lines throughout. The icons represented things you can visit when using the Dots. Eg. Go to the cinema, go shopping. This is a similar concept to The Pulse bus livery, except on the Pulse we highlighted things you can do on the bus that you couldn’t do if you were driving. The Dots was launched in September 2014 With the addition of free wifi, being able to work remotely, contact friends via social networks or even check the latest journey information online will help make bus travel more productive. To celebrate the announcement, Stagecoach North East launched a ‘join the dots’ competition’ to encourage the youngsters of Teeside to get dotty. Read more about The Dots PR and launch event.